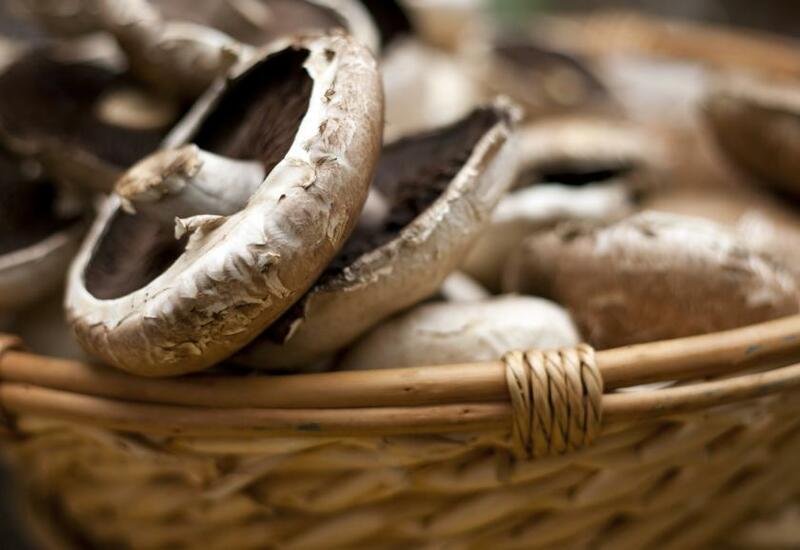 Researchers at the University of California–Riverside have just created a new battery that is made, in part, out of portabello mushrooms. That means the lowly shroom may be powering your cell phone and the millions of electric cars that could be on the market in the next few years. The mushroom batteries are cheap, easy to make, biodegradable, and they last longer than batteries that are on the market today. Who’s the magic shroom now, psilocybin? You see, lithium-ion batteries use positive and negative electrodes—known as the anode and the cathode—to move charged lithium atoms back and forth, thereby releasing or storing energy. Traditionally, anodes are made from synthetic graphite. But synthetic graphite is relatively expensive and has to be treated with hydrofluoric and sulphuric acids, which are harsh chemicals that produce a lot of hazardous waste. What the team at UC Riverside did was replace the graphite with, of all things, portabello mushroom. But hold on—it’s not so crazy. The scientists were looking for something cheap and environmentally friendly to replace the not-so-either graphite. They realized that when it comes to anodes, what you want is something incredible porous. Ergo, the shroom. It kind of makes perfect sense. Brennan Campbell, a member of the research team says: “With battery materials like this, future cell phones may see an increase in run time after many uses, rather than a decrease.” We say: that’s insane! Although the battery created by the UC Riverside scientists is still in early development stages—and is not yet as efficient as current batteries—the team has filed for patent protection for their invention, as set forth in Scientific Reports.